What is the Credibility Audit? The Credibility Audit assesses the credibility of the claims which companies make. It highlights strengths and exposes vulnerabilities in the company's reputation. It makes recommendations on how to approach and communicate the challenges. Who is behind the Credibility Audit? The Credibility Audit was launched in January 2019 by Sustainability Consult. The consultancy has over ten years experience in dealing with controversial issues in the sustainability communications space. The service was developed by Matt Batey, a Sustainability Consult associate and experienced auditor, and CEO Kathryn Sheridan. The Credibility Audit is for any organisation wanting to stress test the credibility of their profile, their claims and their story. It is for companies who are afraid their claims won't stand up to scrutiny as well as companies who believe they are on the right track but want to avoid complacency and benefit from a fresh set of eyes. The audit helps people working on sustainability to get buy-in for their work internally. Why do a Credibility Audit? The Credibility Audit helps strengthen a company's reputation by highlighting potential issues. It takes a balanced view of the strengths and weaknesses and advises on how to communicate on the challenges, including the more nuanced ones. Why do this work with Sustainability Consult? Sustainability Consult has developed the Credibility Audit process based on an in-depth understanding of both business and stakeholder concerns. In fact, we share many of those concerns. We bridge the gap between business and stakeholders and believe the audit is part of our essential contribution to creating a more sustainable world. We understand that sustainability can be challenging and nuanced and that 'silver bullet' solutions may not actually be the most sustainable for a particular business or product. The company being audited will receive a score based on the standardised questionnaire and an in-depth report. 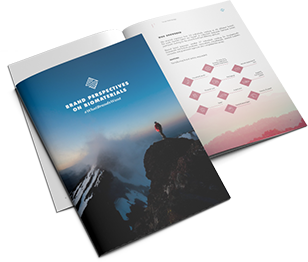 The report identifies strengths and weaknesses and provides tailored recommendations on how to navigate and communicate on any challenges they face. The report draws on both the questionnaire and the research and interviews. Is there a score or a ranking? The company receives a score from the audit, followed by tailored recommendations. If we benchmark a company against others, we can provide a ranking based on the audit results. Are these scores made public? This is a consultancy process so our client's score would only be made public with their agreement. If we audit other companies in order to benchmark our client, these scores may be published as they would be based on information in the public domain. Is there a stamp or a label? Companies that have been through the Credibility Audit and that wish to publish their score will be provided with a logo to use. We are not developing a third-party certification scheme at this time as we believe there is more value to companies in the process and the recommendations. The Credibility Audit can be repeated at a later date as a way to measure and report on progress. We also offer ongoing Credibility Consultancy to support companies in delivering on their claims and help them navigate the challenges. Credibility consulting is tailored and may include business strategy, internal communications, (subversive) marketing, behaviour change, advocacy, supply chain or stakeholder engagement. What input do companies have to provide? The standardised part of the Credibility Audit uses information which is available in the public domain, e.g. company website, marketing tools, press releases, media coverage. This allows us to audit other companies for benchmarking purposes. To make the recommendations, we interview and request additional input from the client and potentially from partners or stakeholders. This may be on business strategy, partnerships, life-cycle studies, messaging, stakeholder engagement etc. Does the audit help companies greenwash? Absolutely not. We were set up in 2008 to provide an intelligent alternative to greenwashing. We act as a bridge between our clients and other stakeholders. The audit recommends areas the company should address and additional consultancy is available to help companies deliver on their promises in the most credible way. How is this audit different from the communications audit or credibility check previously offered by Sustainability Consult? The Credibility Audit goes deeper than anything we offered in the past. It takes the whole business into account, not just the communications. It builds on our experience of using credible communications to make change and have an impact.